Sudbrook Moor is a Pay and Play Course that is open to Members and Visitors. 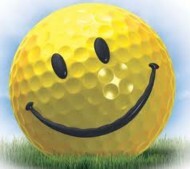 We operate a very simple system for payment of Green Fees. We have a ticket machine located near the Golf Shop entrance, where you purchase your tickets to play. The machine takes 10p to £2 coins. Visitors are asked to purchase all green fee tickets before play commences, so it is handy to bring the correct change with you. If, however, that is not possible, you can get change during opening hours from the Golf Shop (usually 8am to 6pm or 5pm in the Winter), the Clubhouse (usually 10am to 5pm - closed Sundays) or the the Barn at anytime. (the Barn is situated immediately to your left after you have turned into the main entrance from Charity Street) Please retain your tickets for inspection by the Course Rangers. Half the price of adult fees. but you may continue to play all day at no extra charge. Visitors who play regularly may prefer to take out our Affordable Membership. Please check the information on this website or please call into the Golf Shop or telephone 01400 250796. Members also have the offer that if they play more then three times during any week (Monday to Sunday) they get the remainder of the week free. e.g. Play Monday, Tuesday, Wednesday and you get Thursday, Friday, Saturday and Sunday Free. Please save the 3 daily tickets to show the Course Ranger later in the week. Trolleys are available to hire at the cost of £2. To hire a trolley please obtain a £2 ticket from the Ticket Machine. Trolleys are located by the Practice Bunker, just help yourself to one after obtaining your ticket. We have a small number of hire sets located outside the Golf Shop beside the Ticket Machine. Hire sets consist of a Wood, Three Irons and a Putter. To hire a set please purchase a £1 ticket from the Ticket Machine and take a set. Please return it after you have finished playing.